A reverse mortgage is a loan available to homeowners who are 62 years or older that enables them to convert part of their equity in their home into cash. A new Mortgagee Letter, or notification letter, is supposed to be released in July of 2014 and the Financial Assessment is projected to take effect within 90 days of the Mortgagee Letter, which would be in October of 2014. It is important to note that borrowers who “come up short” or may be more likely to default may be required to set aside money from their reverse mortgage to cover any future obligations, which will lower the amount of equity they would be able to access. 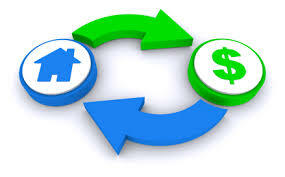 In addition, borrowers obtaining a Reverse Mortgage prior to this date will still remain under the old rules. If you are in the market for a Reverse Mortgage and have any questions about how a Reverse Mortgage works, please contact Trina Intravaia, Reverse Mortgage Specialist, with Urban Financial of America LLC. You can reach Trina at 951-676-1094 or 310-721-7480.